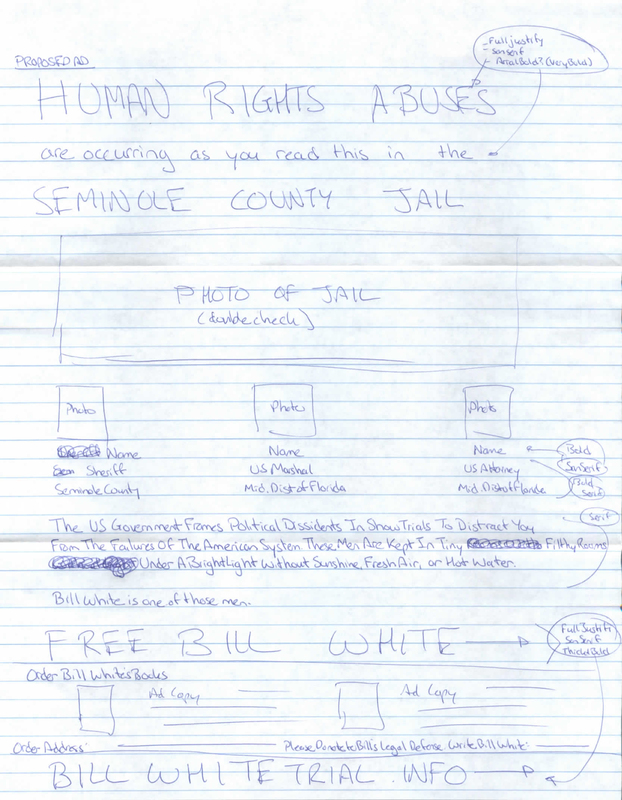 This is just a quick note to say that there may still be problems with Bill White’s mail at John Polk Correctional Center / Seminole county Jail. Harold covington’s letter from Bill (here) seems to indicate that he hasn’t had any mail since the 19th of June. A letter of mine from Bill also states this is the last day he received any post. They may still be reading the mail before forwarding it to Bill, so it’s possible the mail is sitting on someone’s desk in the jail waiting to be read. Harold however, says that mail has been returned to him for no logical reason. The mail complies with the jails guidelines, but has been returned to him and Bill has not received the letters. So if anyone is waiting for a reply from Bill, it may not be forthcoming as the jail is apparently still violating some legislations and/or delaying the mail.